Having heard of the free ‘Next of Kin’ tracing service from Finders, Bruce Reynolds, Environmental Health Officer for Worthing Borough Council, got in touch to see if they could locate any heirs for Thelma’s estate. Once instructed, Katie Watson, Case Manager at Finders immediately began tracing the family tree. Thelma was of Dutch/Jewish descent which may have presented problems to some researchers, but within hours Katie had identified nearly all of her living relatives. Finders visited and were retained by many of the maternal family that same day. The paternal relatives were a little harder to contact as they were spread around the world in Canada and Italy, but they were soon contacted and also signed. “The Finders Next of Kin Tracing Service offered a quick and free way to fulfil Bona Vacantia’s requirements to make reasonable efforts to locate blood relatives to administer any residual estate following a public assisted funeral. The company were efficient in dealing with this case.” Says Bruce Reynolds. Finders International was established by Managing Director, Daniel Curran in 1997. 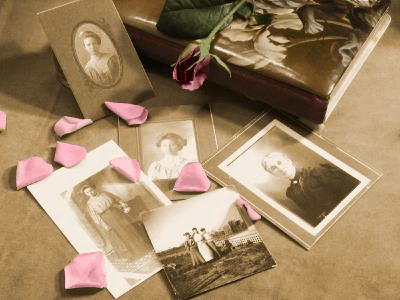 Finders are an international probate genealogy firm who pride themselves on providing a fast, friendly, and efficient service. Finders UK based team is now over 70 strong and it provides services across the UK and globally. Last year alone it traced heirs and next of kin for over 900 estates and with a success rate of nearly 100%. Finders are also a main firm on ‘Heir Hunters’ the BBC’s popular daytime TV documentary which follows the team as they trace Next of Kin.